Being a parent is one of the most rewarding experiences a human being can ever have. It stands to be one of the most crucial phases in any person’s life. It is a beautiful feeling which people want to treasure. Nothing can go wrong at this time. Now with the influence of digital media and worldwide web using the webs and applications has become very common. There are different types of mobile applications created every day. There are applications found for several purposes. 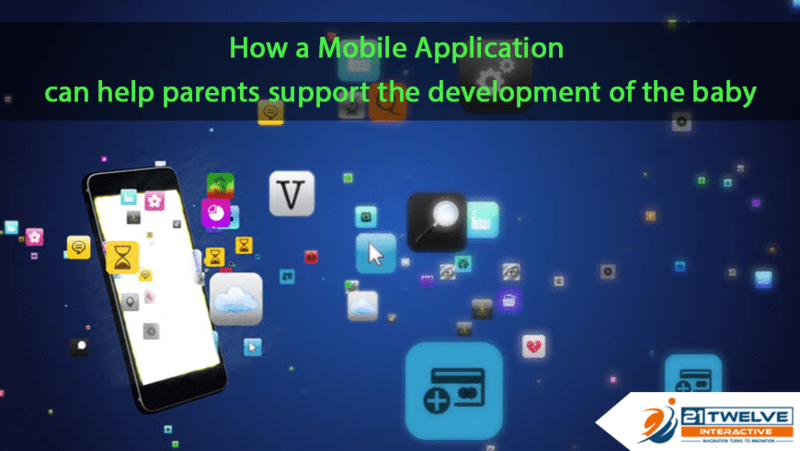 Starting from gaming, gym, educational apps, general knowledge apps, dating apps etc nowadays new mobile applications have been created for parenting and child development purpose too. These apps are definitely making a busy life a little easier. They are designed especially to track time when a baby is fed & his sleep times are also recorded. Some applications help you to develop the major milestones in the baby’s life. A parent will get some amount of with the help of such mobile applications. The growth of advanced technology helps us to effectively track the development of the baby. This kind of extra help is always welcomed by the parents. Parenting is one of the toughest jobs in a person’s lifetime. Especially in case of a baby, the task becomes all the more difficult. There is a lot of things both the mother and father have to look into. In the modern world when both parents are working such applications by creating some help brings some relief. There are some applications which are actually very reliable in nature. Not using a mobile is an understatement in the modern world. There are different mobile applications available in the Play Store and the App Store. New parents are normally very oblivious about a number of issues about the baby. They are often guided by the elders in the family. A mobile application, however, comes handy because you can get any amount of information by the click of your fingertips. There is very much saturation in the market of a baby’s application. Like everything, there is a mobile application for a baby too. There is much anxiety and fear in the minds of parents while growing up their baby and also during the pregnancy stage. The internet and other technological facilities at present times bring answers to all your queries at your pedestal. Thus the mobile applications are trying to make your task a little simpler. It is a scary ride for both the mother and the father. There are many varieties if cool applications available if you look at the play store. Pregnancy tracker applications and also the baby tracker applications are very popular. This will boost the confidence of both the mother and the father. The users are always able to stay at the top of the lists with such personalized applications. There are many interesting features in such applications for the parents. It helps in both entertainment and learning. They help us to learn many different types of baby names. Some applications even have inspiring articles about babies. Different types of tools are also present which will be helping the new moms in the long run. Tracking of doctor and other kinds of appointments can be done very easily with the help of these applications. You can also make the appointment of different vitamin appointments and all planning the schedules on time. The timeline for the arrival of your baby can also be tracked with the help of the tracking applications. Seeing the time creates a great amount of joy in the parent’s mind. They can also go for regular checkups without much fuss. Therefore we can derive that having a smartphone and knowing to access the right kind of applications will bring a great amount of change in the life of the parents. They just need to select carefully the baby tracker applications according to their needs. Make sure you reach help with the help of the right applications and not the fake ones. Therefore we must note that we need to analyze a little bit before jumping into downloading and following the application. There are actually many applications that will serve your requirement effectively. Both the mother and the father are intrigued by the thought of seeing how much their baby has grown. Seeing child development is actually a very exciting thought for the parents. These mobile applications in turn act as a friendly companion to help you throughout the process. You will be able to track the growth of your baby on a day to day or week to week or month to month basis. They will help you to see the entire crazy ride process. You can also track the tri-semester with these mobile applications. Acts as an Ultimate guide to track the growth of your baby on a week by week or day by day basis. You will be able to receive various kinds of news, information through articles and blogs about the latest parenting techniques with the help of these applications. You will be provided with different types of information about the health of your baby. There might be opportunities where you will also be able to communicate with other parents and get suggestions about the pregnancy and development of your baby. There are numerous tools present in the applications which will make life easier. The applications are always flooded with stories and photos of babies growing from different months. Meetings are also conducted by the parents and face-timing is also done. This will help you to know things better. In this way, you will also be getting real-time advice. The applications will also have features which will enable you to find the right age group of mothers and fathers around you from a similar background, style, and interest. Read more – How to separate your mobile applications from your competitors? They were flooded with pregnancy songs and baby songs. You will also get information about the baby size and which baby size is right for your baby. You will also get the knowledge about safety issues for your baby, how to take care of the baby. Right medications for your baby are also advised through this application. You will also find the different symptoms for any particular disease. By reading these symptoms you can make out what is the problem of your baby. Some applications are also flooded with videos of real childbirth and inside the womb videos. This is one of the most used applications by parents. They provide some useful hints, tips, and tricks about childcare and development of the child. This application will help you to cross different milestones. The application is flooded with videos which in turn will help to carry out the whole child rearing process in a much more effective way. You should know that all babies are not the same. They have different wants. But we will always appreciate having a rough idea about the entire process of development of the baby. This is the favorite mobile application for many parents out there. 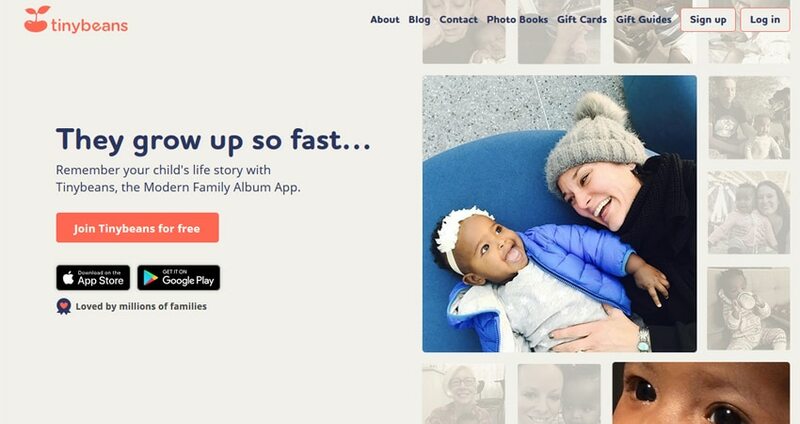 This app will allow you to store photographs each day. In this way, you will be able to capture interesting moments of your life. It will also allow you to share images with your friends, family, and neighbors. In this way, you will be able to share your joy with others too. Connecting with the members living apart will become easy with this application. You can avail this application for free. With the help of this application, you can also print out a separate photo book for yourself and give them separate names. This is an interesting application which will allow you to keep a count about the times you are feeding your baby and how long you are continuing the breastfeeding process. For the first few months of breastfeeding, this application will really help you in the growth and development of your baby. You can easily download it from the Ios. This mobile application is really cost effective. It is around $4 and is very simple to use. There are recipes for different ages. In this way, you will have an idea about what is the right time of introducing a particular food to your child. You will also get the guide of the nutritionist at times. With such a helpful guide and support, mobile applications are prospering in the modern world. You can easily find these applications in the playstore and the apple store. Do not delay and download the application. This will be super useful if you are traveling far away from your home. There are features will enable you to check the cleanliness rating of a particular place. In this way, you will be able to assure the comfort and well being of your baby. It will mostly guide you along most locations and contribute to the growth and development of your baby. 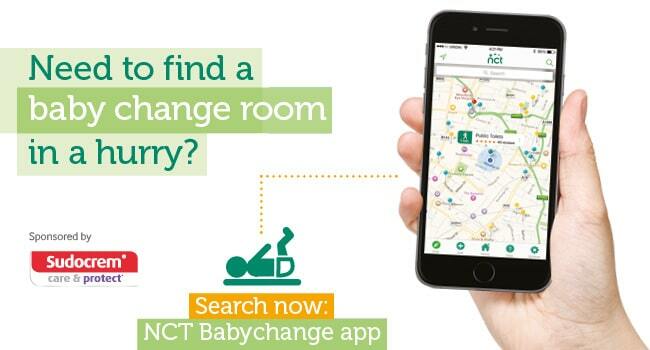 This mobile application acts as a lifesaver for your baby. It is concerned with the sleeping habits of your baby. It will help the people of the house having a baby to sleep a little more if not enough. This application creates noise in the background which will be a soothing sound for the baby. The baby will be able to sleep peacefully and will not allow their sleep to be broken by outside noises. There are several noise choices which you can choose from. This includes the different ocean sound, the car ride sounds, and sound of the air conditioner. These sounds are almost a mere replica of the sounds the baby hears inside the mother’s womb. With the help of this mobile application, you will also be able to form your own pattern. The parent being overprotective about their newborn baby has the tendency to check them every now and then even when they are fast asleep. These applications will allow you to watch a video of your baby sleeping and in this way, you will be able to monitor the little one when he or she is in sleep. You just need to have your own smartphone and your job is done. This mobile application acts as a mini doctor. It can’t be on par with the real doctor but comes handy. You will get to know about valuable information about your baby’s health. This site is also advised by the doctors. All the information accepted by doctors and approved by them. In this way, you will be able to self diagnose your own baby, without running to the doctor every time. But if you have serious concerns about your baby it is always advisable to consult your nearest doctor. 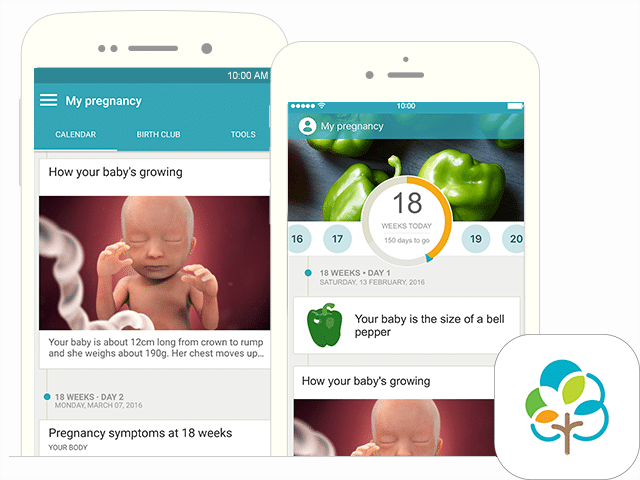 There are many more mobile applications in the market like the Fisher-Price Apps, Talkspace are some other mobile applications which help in the growth and development of the baby. Thus the mobile app development services are developing new features day by day to increase their sales. In turn, the common man is also getting dependant on these useful mobile applications. There are numerous mobile applications for parents and also applications to educate your little baby. There are also parental control applications which will help parents to provide a complete guide for the growth and development of their little. Several parenting application is available for toddlers and advancing them in different branches. There are also best baby mobile applications for the baby who are under 12 months and applications for the newborn.